My mother had dark brown hair and was a very attractive woman. There is a tendency in our family to gray hair early in life. My mother fought gray hair by dyeing her hair dark brown. There is a point in aging when unnatural hair color begins to look unnatural. For her that was 47. The next day, she had blonde hair and looked amazing. 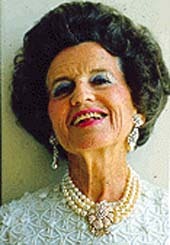 There is a group of women in San Miguel who unlike my mother, have joined the Rose Kennedy Gang and kept the dark hair. Guess they don’t have sons who knew what Rose Kennedy looked like. Today is a big day for the Facelift Gang. Please do not tell them that November 2 is not their day. 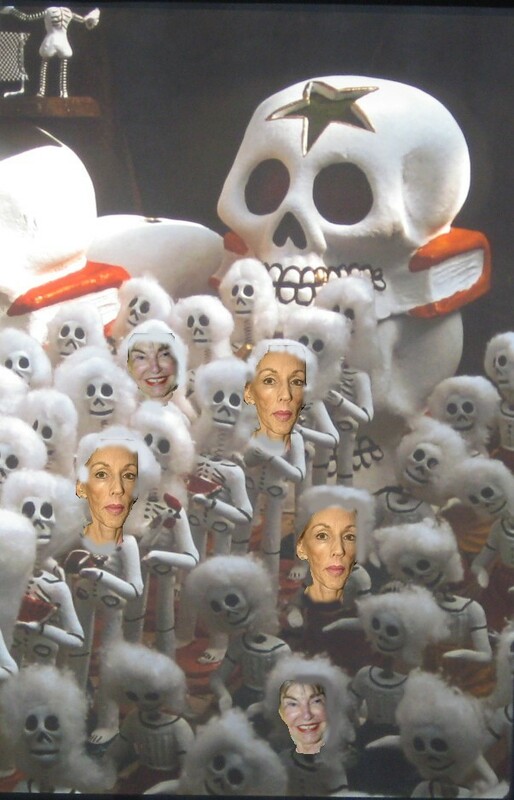 The Facelift Gang believes that today is a fiesta to celebrate their transition from a person of flesh to a person of plastic. 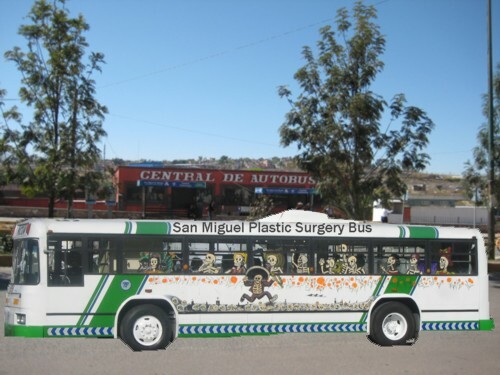 This bus, sponsored by a local Plastic Surgeon, will be picking up local Mascaracueros to begin their day of celebration. The bus is almost full and the excitement is building. The signs are going up all over town. Finally the parade comes up Canal and ends in a Jewelry Shop. The day ends with a sort of Cannibalistic Feast although they will only pretend to eat. 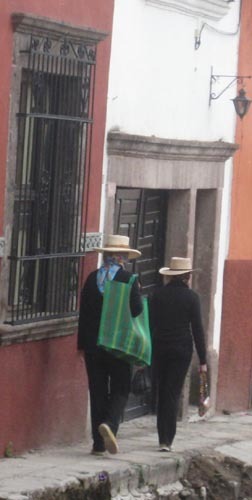 Ever mindful of the terrorist threat, many residents have been alarmed by masked women wandering the streets of San Miguel. Their faces are covered with a scarf and their eyes with sunglasses. However, they are not terrorists so get rid of the Orange Alert. 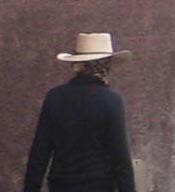 You have only seen a member of the San Miguel Burka Gang. 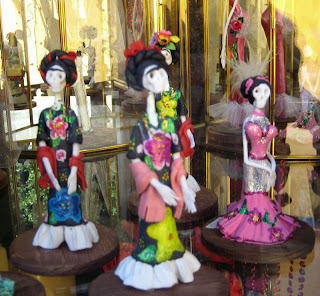 These women are noviates into the Day of the Day Dead Gang. 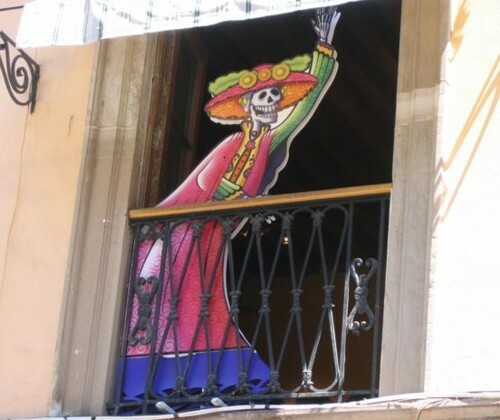 They have come to San Miguel to visit one of the high priests of the Day of the Dead Gang – the Plastic Surgeon. 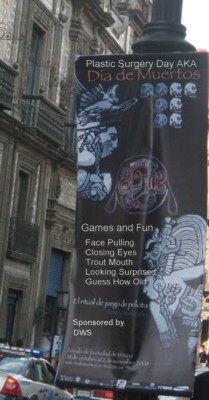 His skill is to make a middle aged woman whose face reflects her life to look the same as ever other noviate. One of the signs of a good Plastic Surgeon is to make it impossible in a group photo of noviates to tell one from the other. 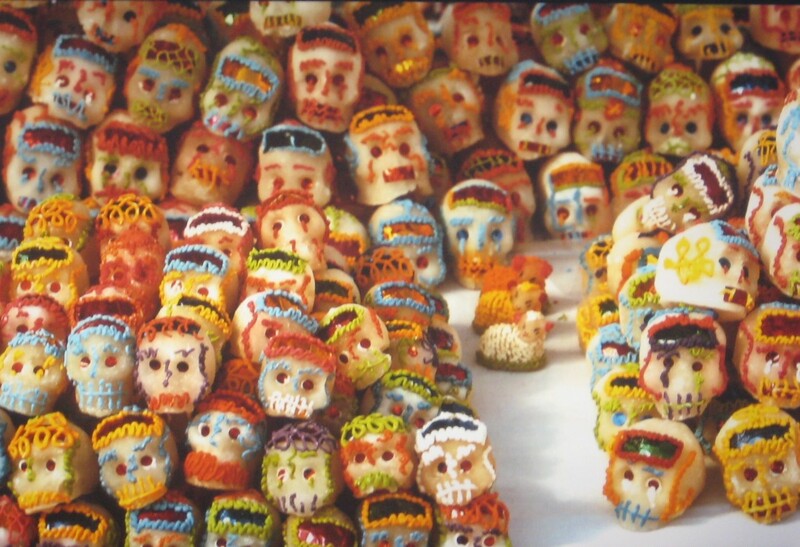 Each noviate is to look the same. – to look like Caterina. If you meet a noviate, even if you know them you must go through the names of five previous noviates before you say you recognize them. This exchange will make the noviate’s day when she realizes she looks like ever other noviate. Nothing on her face betrays any life she might have lived. She now looks like Caterina – the Patron Saint of Plastic Surgery. The Burka is basically a scarf to protect the magic of the Plastic Surgeon and the glasses to hide the circles under the eyes. 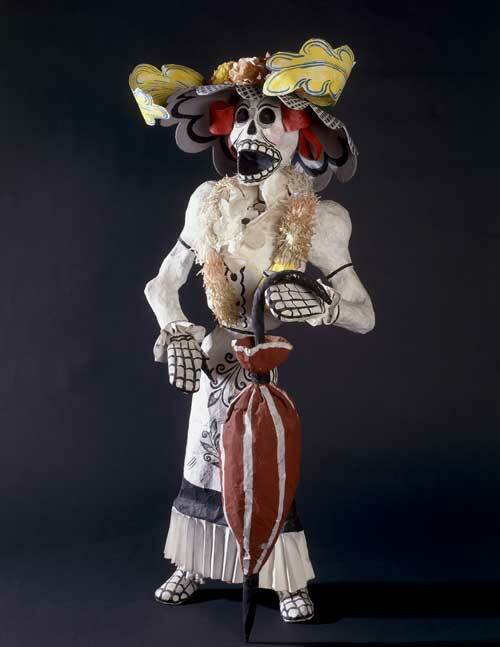 Noviates must remain hidden from view for weeks until their transformation takes place. 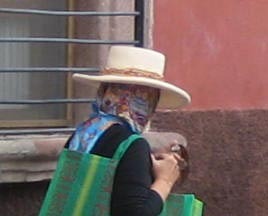 Until the day the scarf and glasses come off they are in the San Miguel Burka Gang. 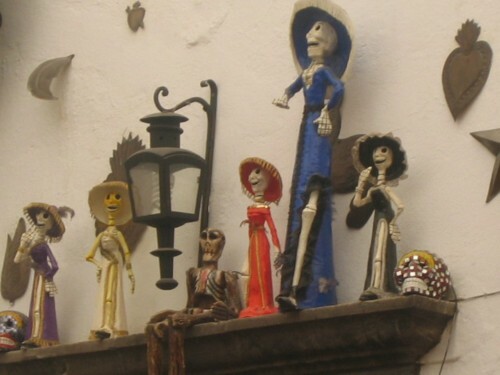 When the day of reveal happens, they are welcomed into The Day of the Dead Gang and can be part of the November 2 Plastic Surgeon Fiesta Day.